If you’ve ever been tempted to unplug, there’s a good reason for it: Recent polling has found that people who actively use social media experience more stress around current events. 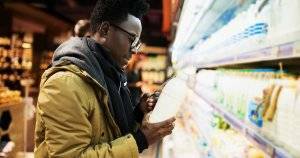 In February, the American Psychological Association released the results of their annual Stress in America survey, which “has examined sources of stress and its impact on the health and wellbeing of Americans living in the United States” since 2006. They found that 59 percent of Republicans and 55 percent of Democrats reported election stress as a somewhat or very significant source of stress. According to data collected from a January 2017 election follow-up to the general 2016 survey, the political issues stressing Americans included the current political climate (57 percent reporting it as a somewhat or very significant source of stress), the future of our nation (66 percent), and the election outcome (49 percent). “Additionally, adults who use social media are more likely than adults who do not use social media to say the election is a very or somewhat significant source of stress (54 percent vs. 45 percent, respectively),” the report stated. How is social media adding to our stress? Eighty-eight percent of online adults age 18 to 29 are on Facebook. 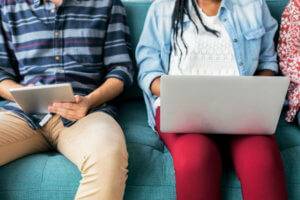 Many of those young adults have been on Facebook for more than 10 years, and a handful of them have anchored their professional careers to social platforms as community managers, social media editors and the like. Social media’s ability to exacerbate feelings of anxiety or stress exists outside the vacuum of election cycles, of course, but in the aftermath of a particularly polarizing election, the compounding of normal social stressors with political anxiety is a new frontier to navigate, particularly for users whose jobs require participation in the social zeitgeist. But you don’t have to engage in political discourse to be affected by its presence on your news feeds and timelines. Claire Davidson is the managing editor of a health and fitness website, and part of her job includes managing the site’s Facebook page. Davidson, 28, joined Facebook her freshman year of high school in 2004. After college, maintaining a social media presence became “more stressful” for Davidson, mostly due to the ease with which social media users can engage in comparison stress— “comparing what you’re doing to someone else, the life they lead, the trips they take, etc.,” Davidson said. According the APA report, women consistently report higher levels of stress than men, though there was not a significant difference between the stress levels of men and women as related to the 2016 election. 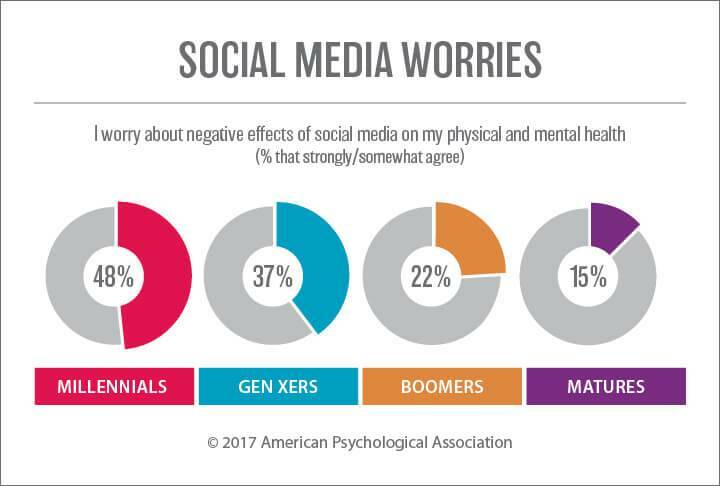 Younger Americans (defined as millennials and Gen Xers in the report) reported higher average stress levels and “are more likely to say their stress has increased in the past year compared with Boomers and Matures,” according to the report. Women and young people are also demographics most likely to be active on social media platforms. Having a plan of attack—and a limit to outside time spent on social sites—seems like an essential coping mechanism for young professionals who have no choice but to stay active, even passively active, online. 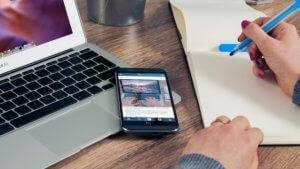 What can you do to avoid issue-specific stress on social media? 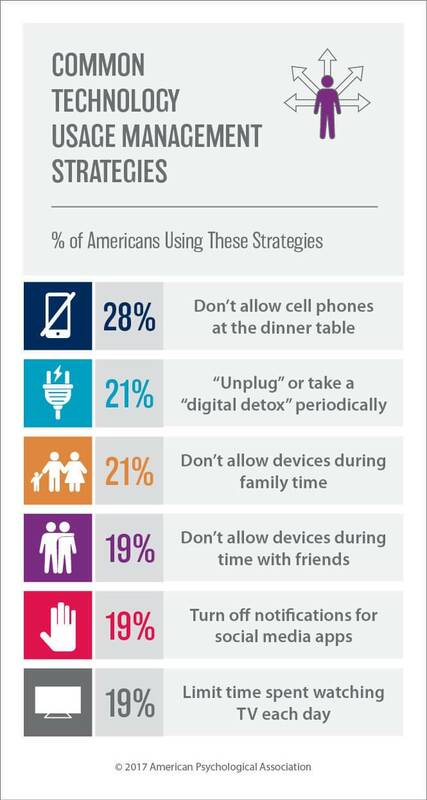 So does this mean the only way to reduce stress is to “unplug” and avoid social media all together? Well, if you do, you could be happier, but here are some other options. 1. Train the algorithm to ignore topics that stress you out: Facebook wants to show you content you like—because it wants to keep you on the platform and clicking. If there’s a topic you want to avoid, don’t react when it comes through your feed. If you ignore it, the post and others like it might disappear from your feed eventually. 2. 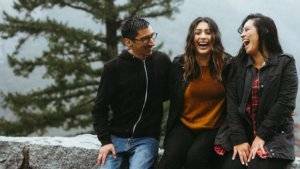 Watch a nature video: Recent research finds that watching nature videos can reduce stress, and it’s a quick and easy way to feel better fast. 3. Think before you post: Research shows anyone can be an internet troll in the right circumstances—make sure it’s not you. Facebook Keeps Growing, But For How Long?